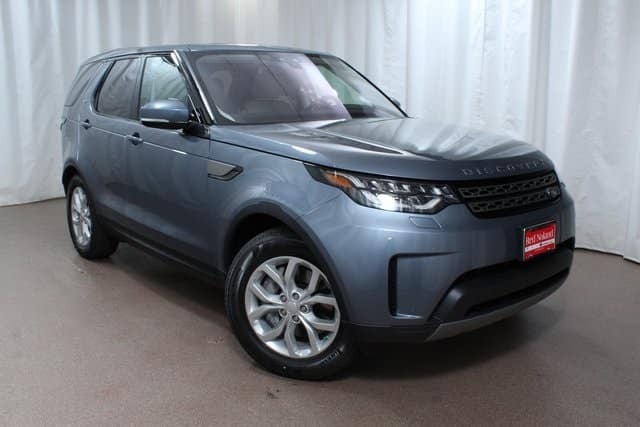 At Land Rover Colorado Springs we have the exciting new 2018 Land Rover Discovery available! Many in our impressive inventory are actually priced below MSRP. So you can get a capable and luxurious SUV at an amazing price. The Discovery is a great family vehicle with its seven seats and impressive interior space for both passengers and cargo. Plus, it features advanced technology entertainment that will make each drive a happier one. Depending on the engine type you get in the model you choose, you can get fuel economy such as an estimated 21 MPG city/26 MPG highway. The Land Rover Discovery has many other super features including blind spot monitor with reverse traffic detection, heated washer jets, traffic sign recognition with intelligent speed limiter, surround camera system, memory seats, and power moonroof. So, if you are looking to upgrade to a luxury SUV in time for your summer road trip, stop into Land Rover Colorado Springs today! We have a super selection of capable and family-friendly luxury SUVs for you to choose from, including the 2018 Land Rover Discovery.